Dorset’s touring arts charity Artsreach and their local business supporter Blanchards Bailey saw cause for a double celebration when they met recently following the launch of the brand new Artsreach Spring programme, and the team at Blanchards Bailey having received outstanding national recognition in the Legal 500. The award-winning Dorset law firm were mentioned in a record seven categories by the UK's leading law sector directory, the Legal 500, with eleven individual lawyers being recommended in the 2018/19 publication. 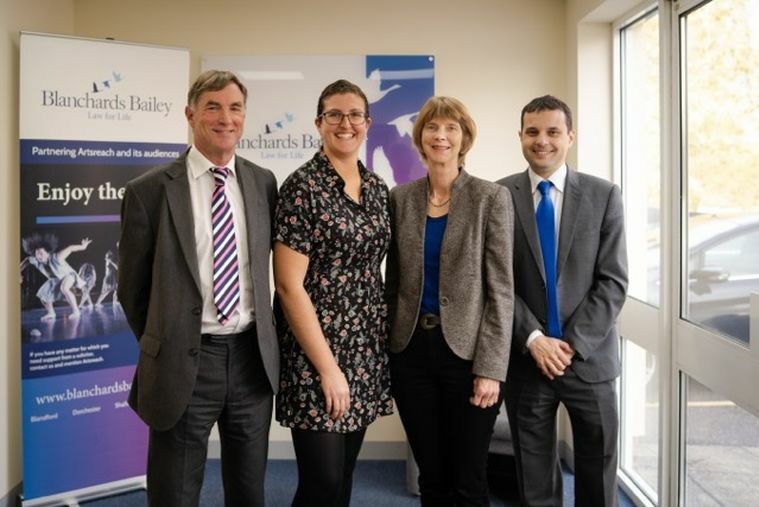 These impressive results make Blanchards Bailey, which has offices in Blandford, Dorchester, Shaftesbury and Weymouth, one of the top firms in the UK for the fourth year running. Blanchards Bailey has proudly partnered Dorset’s rural touring arts charity, Artsreach, since the autumn of 2016, helping to support their diverse programme of professional performances reach the heart of rural communities right across the County. 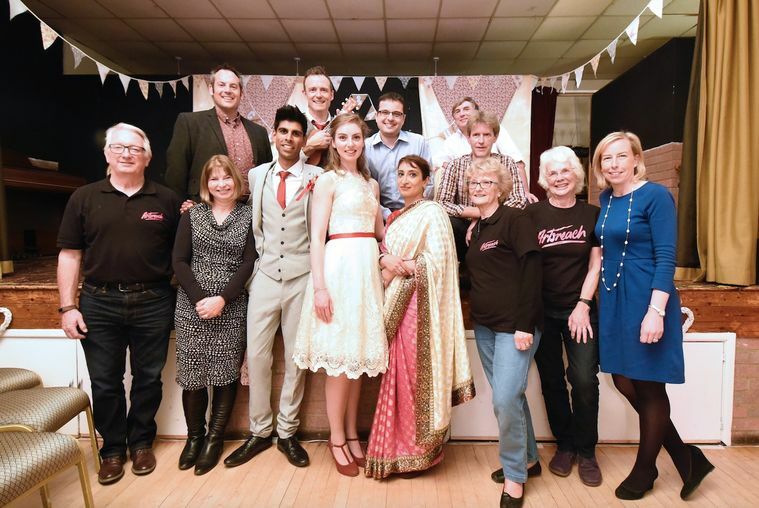 Now, following the launch of a spring programme that features 67 live events taking place in communities right across the County, Artsreach are delighted to be venturing to more new venues, including rural pubs, and including more communities on its circuit. Blandford, the hometown of Blanchards Bailey, hosted their first, sell-out Artsreach event in the autumn and are set to welcome Spanish circus company D’Click to the Corn Exchange this spring.